Today is the second day of Days of the Dead Chicago 2018. I am ensconced in horror greatness. While I collect new images and memories, I feature some of my old memories. When I first saw that Alan Oppenheimer was going to appear at Days of the Dead Indianapolis 2018, I recognized his name from his many voiceover roles. He has done work on Mighty Mouse, The Transformers, He-Man and Masters of the Universe and many more animated shows. He is a legend in that industry. In doing some research, I realized his acting career is just as impressive. He had recurring appearances on Hogan's Heroes, The Six Million Dollar Man and several others, along with random episodic appearances on shows like Welcome Back, Kotter. He also played Mickey Malph, Ralph's father, on an episode of Happy Days. I remembered those roles, but didn't make the connection that he was the voice actor in more recent years. I also wanted to meet Oppenheimer for my friend Tommy Else. Tommy, a big fan of He-Man would have loved to meet Oppenheimer. At least this way, he did so vicariously through me. For more info on DotD, check out DaysoftheDead.com. I hope to see you there. 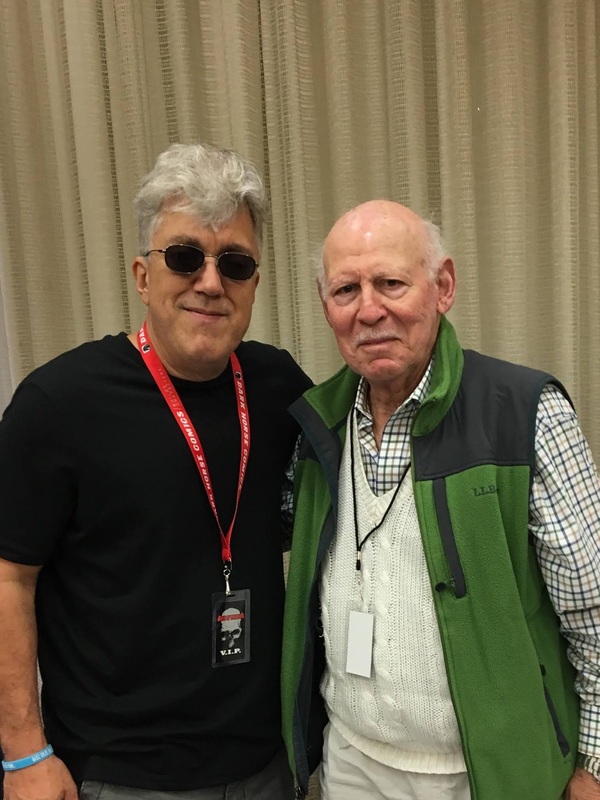 Alan Oppenheimer and me in Indianapolis, IN-June 2018.